Grinch Fudge, the latest addition to our family movie night tradition is not hard to make, however it does need to set up overnight, so you will need to plan ahead a little for this recipe. I used to struggle with making fudge, but this easy method that uses Sweetened Condensed milk and White chocolate is basically fool proof; honestly if I can make it, so can you! 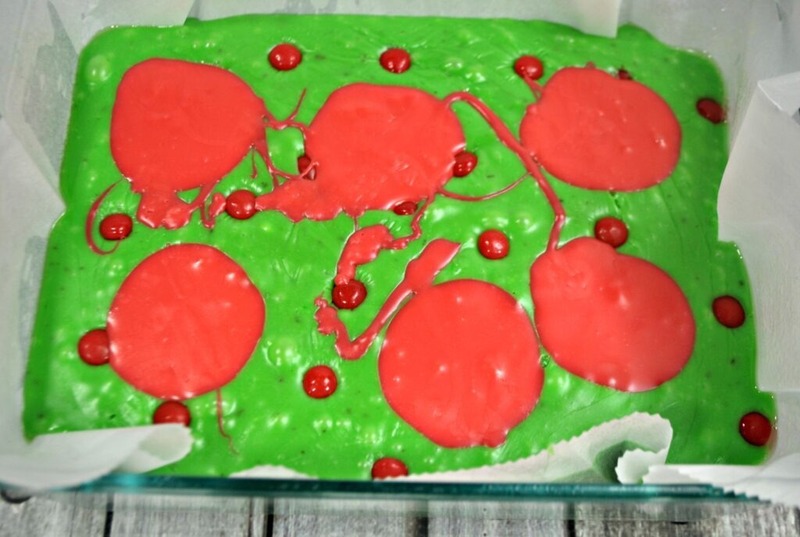 I’ve included some step my step pictures to help you along if it’s the first time you are making a swirled fudge, or if you’re like me and just like photo’s of what you are making. 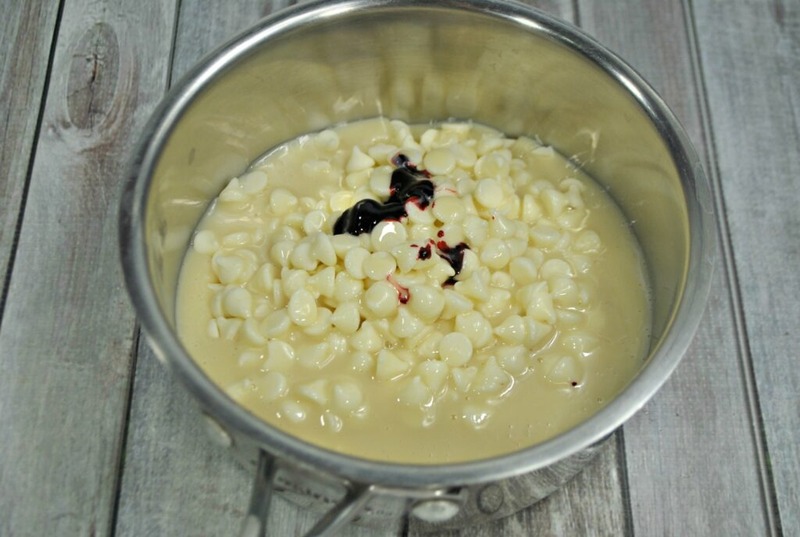 Melt white chocolate chips with sweetened condensed milk. 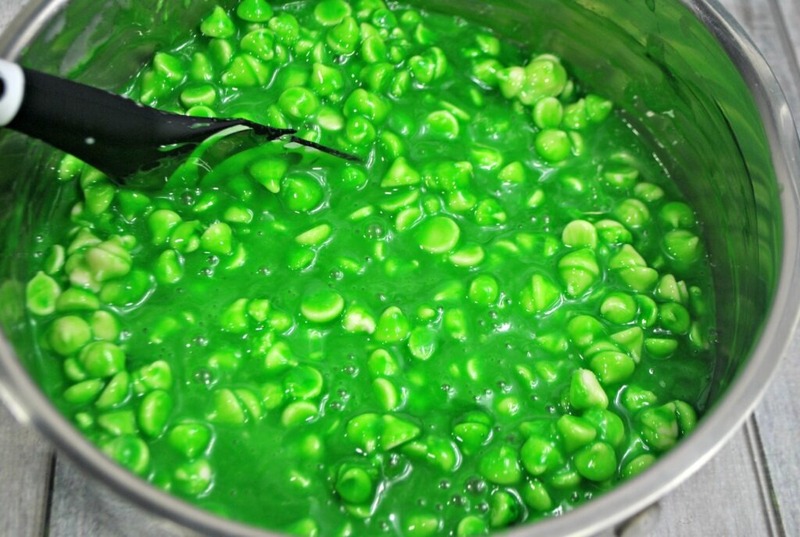 Fudge mixture with green food colouring stirred in. 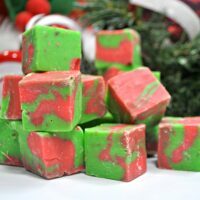 Add red fudge to green fudge and swirl! 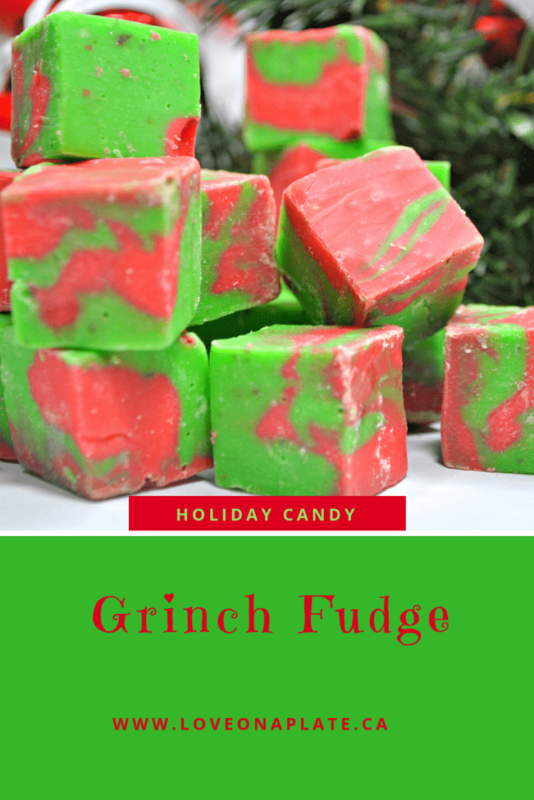 Grinch Fudge ready to eat! If you are in a hurry and need something in a rush, this fudge recipe may not be the perfect solution. 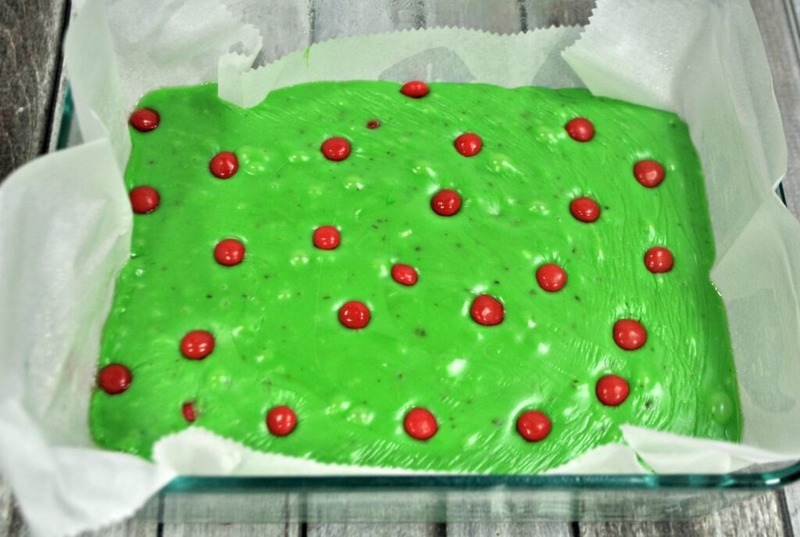 Instead, make these Grinch Brownies, a half homemade recipe that starts with a brownie mix, and mint oreo cookies and can be made the same day you need it. If you want more great recipes and meal prep videos join our Facebook Group; Love on a Plate. A simple fudge made from white chocolate and sweetened condensed milk, with pops of cinnamon flavour to balance out the sweetness. 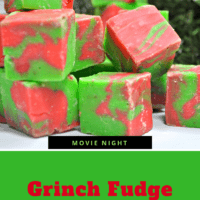 These are classic Christmas colours, also perfect for any Grinch Themed event! Line an 8-inch square baking dish with parchment paper and spray with pam spray. 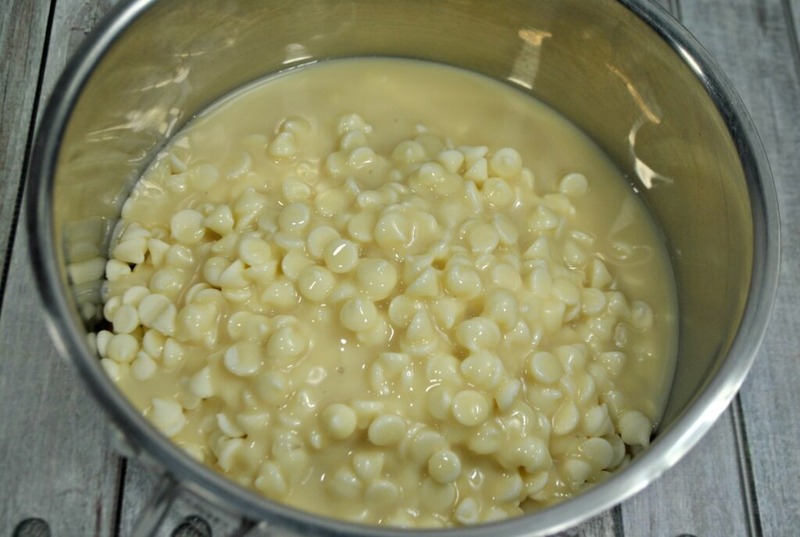 Using two small pots, place 2 C of white chocolate chips and 1 can of the condensed milk into each of the pots and place onto the stove on low-medium heat. Mix until melted, stirring often so it doesn't burn. Mix in 1-3 drops of green food coloring into one pot, and 2-4 drops of red food coloring into the second pot. 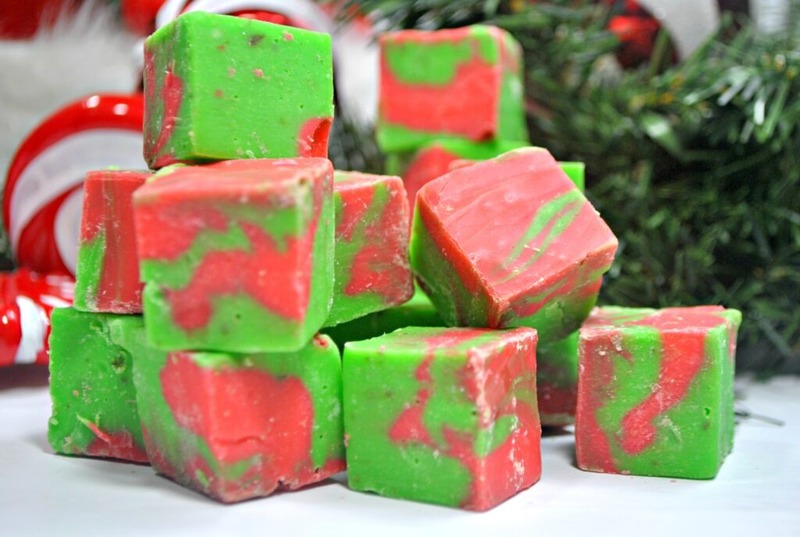 Swirl the red fudge into the green fudge with the tip of a butter knife. Allow to cool and harden overnight before cutting into 1 inch squares.